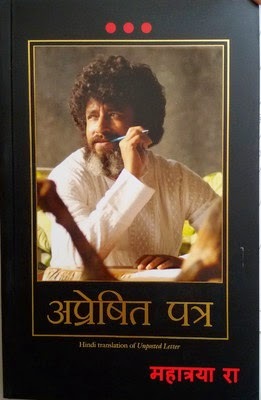 Unposted Letter by T. T. Rangarajan is the Hindi version of the original book, which was initially published in English. The book is an attempt by the author to awaken the inner consciousness in all humans. The book states that the self-awareness among the humans is proportional to their ascent and descent in life. It presents the facts of life in the simplest of words and has been written in a tone and language that is easily understandable. The book covers all spheres of life, and states that people can make better contributions in all fields, provided they heighten their sense of self-awareness. The book is designed with an intent to extract what is apparent from the human psyche and bring out the practical knowledge that every person is required to have in order to find solutions for everyday issues. In essence, the author attempts to awaken the soul in every reader through his work. T. T. Rangarajan is the founder of Alma Mater and is a spiritual leader. He also conducts a spiritual ritual for select students of Alma Mater called Top Gear, which is said to produce better spiritual synergy among the students. He is called the ‘Voice Of Love’ by his admirers. He also edits a magazine called Frozen Thoughts for Alma Mater. Publisher: Manjul Publication House Pvt Ltd.